Learn to serve more and earn more in this specialized training. Teaching classes. Running retreats. Owning or joining a studio. Online programs. Private sessions. Referrals. Partnerships. Marketing. Sales funnels. Social media. Writing. Videos. Publicity. Many yoga professionals end up spinning their wheels because they’re overly focused on individual tactics, rather than considering the bigger picture first. Either they never learned how to create a “big picture,” or their grand vision had an impact and income ceiling they didn’t anticipate. In other words, you end up working hard – sometimes to exhaustion – without gaining the traction you need in order to feel confident, focused, and successful. If you’re not marketing yourself and your services, nobody knows you exist. And if nobody knows you exist, you can’t help people. Period. Your business is the mechanism that allows you to make a positive impact. Marketing is simply a conscious conversation about how you can help solve someone else’s problem, how you can improve their life, and how you can impact their health and wellbeing. When you recognize this, it can actually become FUN, EASY, and feel FULLY ALIGNED! So how can you market yourself and grow your business in a strategic, fun, and efficient way? How can you reach your goals more quickly? Whether you’re just starting out or have been in business for years, you need a business model that fully supports YOUR unique vision and revenue goals. Not a generic blueprint… not a mish mash of random tactics and social media posts. You need to get crystal clear on what you want to offer, who you want to serve, what organizations you want to align yourself with, and how to position yourself so that you attract the perfect clients for YOU. This virtual business training features video interviews with leading yoga professionals and industry experts, to help you identify new and exciting ways to reach more people and make more money. You’ll learn everything from how they structured their business and offerings… to how they combined more than one role with yoga … to all the business lessons they wish they knew at the start… to their top tips for taking action NOW! These videos are packed with wisdom, inspiration, and tangible insights that will help you grow the most ideal yoga business for you, quickly and with much more ease. Infinite thanks Laura – I learned something so valuable from every speaker, each talk was an outstanding gem! I’m now in discussion with a local organization for a collaborative training, something I would never have suggested without the ideas and inspiration from the talks. I am much more focused and know what I need to do to move forward, yet my perspective on opportunities has massively opened up. The whole thing – just brilliant! After spending last week learning from all the wonderful speakers and Laura Kupperman, I am putting into action some of their great advice. I pitched being the regular contributor to “Fitness Friday” for our local t.v. station and it looks like I will be doing this segment every other week. The anchor was so excited about what I am doing that she wants to do a series with me on Yoga as Lifestyle Medicine. You all rock. Thank you!!! Laura, I wanted to share some exciting news with you. One of the take-aways I had from this training was that my main work is more in the mental health aspect of yoga therapy. Soon after I gained this clarity I met a psychoanalyst who was looking for a yoga teacher to partner with. We are currently developing a very powerful hybrid of our work, and are scheduled to present this to approximately 80-100 therapists at a psychoanalytic conference in April. Woo hoo! I would not have done this without the training. Demystify what it takes to have a successful business on your own terms. Gain the insights, inspiration, and insider tips you need to expand your revenue streams. Eliminate the resistance that keeps you from taking action and moving forward. Embrace the possibilities for your business and have FUN crafting a strategy, offerings, and partnerships that feel deeply aligned and exciting to you. Lifetime access to a digital library packed with powerful interviews! Learn how successful business owners created something to help them reach their impact and income goals … as well as how to apply their wisdom and insights to YOUR business. Downloadable PDFs with additional resources… along with our Impact, Income, and Growth Workbook designed to help you get the most out of each and every video training, as well as identify the specific actionable steps you will take next. The ability to access ALL the training materials at any time. You will have IMMEDIATE ACCESS TO ALL THE VIDEOS as soon as you register. You’ll also receive the following bonuses (some extra love, from me to you)! This, along with BONUS #2, are amongst my most popular webinars. Online courses are a great way to grow your business, and this webinar will give you insider tips and the key areas to focus on in order to start creating your very own knockout course. Learn what it takes to host a successful one-day retreat AND longer destination retreats. Perfect for yoga professionals who want to boost their income and build a tighter community. Laura – this course was one of the most well organized and juicy-full-of-good-stuff courses I’ve ever taken. Your interviews were spot on – you drilled down to get the specifics – asking the questions that many of us were probably asking as we watched. Speakers were high caliber! Also, the worksheet you gave us helped me so much – I’ve never seen a better one in all the courses I’ve taken. Yay!! You are amazing!! WOW! Thank you so much Laura for the work that you do. Thank you to each of the guest speakers for sharing your personal stories, experiences, and wealth of information. This training has left me feeling uplifted, hopeful, motivated, and with a sense of clarity of next steps. I have new ideas and areas to pursue that I hadn’t even considered previously! Through each of these speakers’ stories, I know that my options are endless. For me this program feels like I was given a Gameboy for Christmas. I wake up in the morning and I just want to continue watching the videos and write down my new ideas!!! Thank you Laura!!! The Impact, Income, and Growth: Virtual Business Training includes training videos from leading yoga professionals who have all built unique and successful business models; PLUS training videos from select industry experts to help you identify authentic, smart, and exciting ways to reach more people. I’ll be guiding you through a brief video on why creating a unique business model is so important to growth, and what to expect from this training, as well as introductory videos to help you get the most out of each interview. If we’ve never met before, you might be wondering who I am and why you’d want to take this training with me. The short version is that I’ve been a Career and Business Coach since 1999, helping yogis and other wellness professionals launch or grow their business. I’m also a successful Certified Yoga Therapist myself, specializing in yoga for cancer survivors and yoga for fertility enhancement. I’m on the faculty of Inner Peace Yoga Therapy. I have launched many fruitful yoga ventures locally, nationally, and internationally; as well as created online resources for yoga therapists and yoga teachers, such as the popular Yoga Therapy Facebook group; a free webinar series that has served thousands of people from around the world; and a comprehensive online business training for yogis. Finally, I’m someone who loves to encourage others to dream big and then empower them with the skills they need to achieve their dreams. I want you to know that you CAN do this, you just need the right strategic pieces in place! Theresa spent 26 years as a newspaper reporter before finding Yoga. She was so committed to sharing the healing she experienced that she left her job and began a career as a Yoga Therapist. She owns a Yoga Therapy practice outside Philadelphia, where she specializes in Parkinson’s Disease, chronic pain, back pain, anxiety and depression. Theresa’s Interview will inspire anyone who’s ever wondered what it would be like to create a brick and mortar yoga therapy studio – a space that is first and foremost dedicated to healing. Theresa made the leap from owning a “regular” yoga studio to a yoga therapy studio, to better serve her clientele AND to live a life of greater balance and ease. Learn how she fills her classes, has a steady stream of private clients, and connects with her local medical community; and manages the day to day operations of her studio. AND has time to create a fabulous online training, Yoga for Parkinson’s Disease. Theresa’s talk will open your eyes to the possibilities of how you can positively impact your local community. As the daughter of genocide survivors who were culturally, geographically and spiritually displaced, Yael Flusberg has been especially drawn to yoga’s powerful role in cultivating resiliency and helping people shift from chronic stress and trauma into transformation and growth. Yael sees herself as holding space for what Dr. Bessel Von Der Kolk calls “suffering management,” helping students assess their physical, energetic, psychological and spiritual health; learn evidence-based techniques that help them with their particular issues and conditions; and ultimately engage in sustainable yoga practices that helps them experience every season and stage of life as rich, meaningful and liberating. 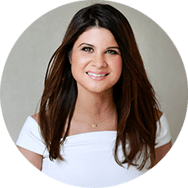 Yael’s Interview is for anyone who wants to impact a lot of people and have a successful business, despite having an imperfect website, a part time job (or other needs tugging at your sleeve), and not being super tech savvy. She talks about how to move forward and serve more people from a place of slow growth + persistence + authenticity. If you think all the “successful” yoga therapists have figured out something that you haven’t . . . you will love this talk! Linda served as clinical instructor in the Department of Psychiatry at the George Washington University School of Medicine. Linda was on staff at GWU Center for Integrative Medicine for 8 years and Director of Yogic Programs for 5 years. Linda teaches and promotes yoga as a therapeutic partner in integrative medicine. 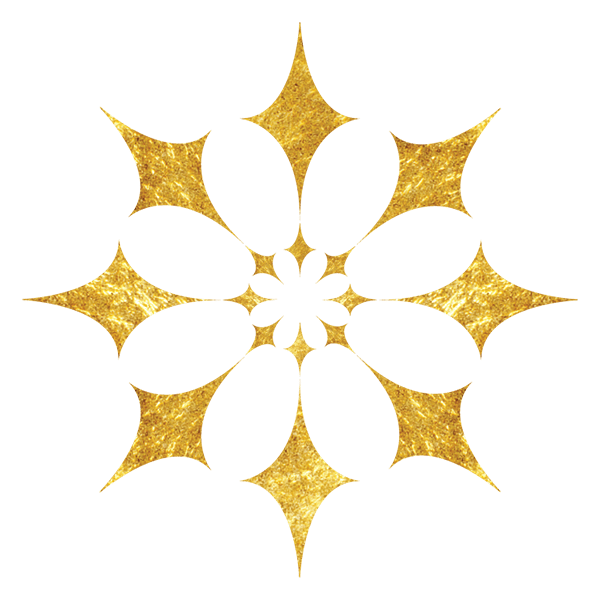 She creates high profile partnerships, initiates and conducts symposia (Smithsonian Institution’s Freer|Sackler Galleries in 2014, Smithsonian Associates 2017) to highlight therapeutic yoga, and promote yoga as lifestyle medicine. Bringing therapeutic yoga into her community for 18 years with group offerings and 1:1 therapeutics, she is currently releasing a Regional Therapeutic Yoga Directory for the greater Washington/Baltimore area. Lind’a Interview gives you a behind the scenes look at how to pull off an impactful, larger scale event (or “medium” scale if that suits you better!). If you want to make a broader impact, connect other professionals, and be part of the bigger conversation that’s informing the yogic landscape, you will find this talk inspiring and instructive! Michele Lawrence believes in yoga’s ability to heal and transform, and that yoga, regardless of one’s ability, is available to all. Michele is a yoga teacher, yoga therapist (C-IAYT), co-owner of YogaDurango, and the founder/director of Inner Peace Yoga Therapy. Michele’s Interview is a must watch for anyone considering creating their own yoga therapy training program. Learn what it really takes to successfully launch and run your own training, from someone who was among the first set of schools to become accredited by IAYT. Running your own training program is an excellent way to serve more people, AND it’s a big undertaking. Michele demystifies the process with her down to earth wisdom and insider tips. Lindsay’s Interview is inspiring, heart-felt, and a MUST for all business owners. Learn how to trust your intuition and move forward with your business so that you are aligned with your dharma. Lindsay speaks to the distinction between “being on the right path” and “everything being easy” – helping us learn when to keep persevering, and when to pivot and move in another direction. 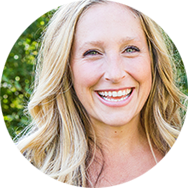 Although this talk is more “woo woo” than the others, Lindsay’s combination of business savvy and intuitive skills will help you break through some limiting beliefs and reignite your mojo! 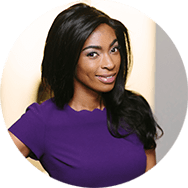 Lisa Simone is a PR & visibility strategist for health, fitness, and wellness entrepreneurs who want to go from unknown and underpaid to standing out and selling out. 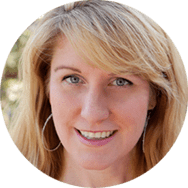 She’s here to show you how to get seen, get clients, and get paid; and how to get off the hamster wheel of chasing clients and instead magnetically attract them to you. When she’s not shooting national TV segments or working with editors on magazine features, you can find her swinging a kettlebell, getting her zen on at hot yoga, or shopping at her local farmer’s market. Lisa’s Interview showcases her PR wizardry and is filled with nugget after nugget of expert advice on how to get free publicity for your work. Curious about how to be featured on a TV segment or podcast? Lisa breaks it down step by step, as well as lending her sage wisdom about which platforms make the most sense for your audience. If you want some fresh ideas on how to spread the word about the benefits of yoga (and the good work you are doing! ), this talk is not to be missed! 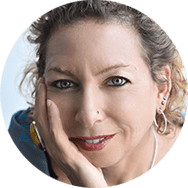 Co-founder of the program, and co-author of the book, The Conscious Cleanse, Jo Schaalman manages both nutrition and yoga seminars nationwide, concentrating on transformative healing and optimal health. 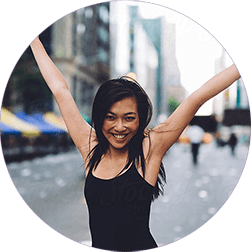 Jo shares the wisdom she has acquired through her yoga classes and the Conscious Cleanse program in order to inspire numerous people to find their most vibrant health. Jo’s Interview traces her path from yoga teacher and nutritionist, to co-founder of a business and virtual program that has touched thousands of lives. Her formula for The Conscious Cleanse program can be applied across many different areas of interest, and is a great lesson in starting where you are and perfecting things as you go along. If you want to impact people on a much bigger scale, and create the potential for a lot more revenue, you will love this talk! 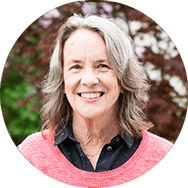 Linda Sparrowe, former editor-in-chief of Yoga International and Natural Solutions magazines and former editor of Yoga Journal has been writing about, teaching, and talking about yoga for more than 20 years. 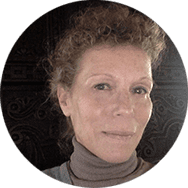 She has lent her writing and editing skills to a variety of book projects, including, most recently, editorial direction for and ghost-writing of a celebrity memoir, a spiritual self-help book, and two yoga-centric memoirs. She has authored six books of her own including the award-winning Yoga At Home: Inspiration for Creating Your Own Personal Practice; YogaMama; A Woman’s Book of Yoga and Health (with Patricia Walden); and Yoga: A Yoga Journal Book, a coffee table book which chronicles the history of yoga and showcases more than 350 photographs of awe-inspiring yoga poses (by David Martinez). She coaches others in finding their own voices and putting their thoughts into words. 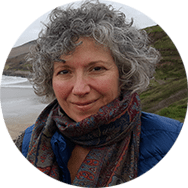 Linda’s Interview is a goldmine of insider tips – the kind you can only get from someone who has been in the yoga-writing-editing industry for as long as she has. If you are interested in sharing the benefits of yoga through your words, Linda explains the various outlets for doing so, as well as specific action steps to take (or not take!) in order to get your work published. Getting your work published is a terrific way to get more exposure and enhance your credibility, and it may not be nearly as hard as you think. Writers and budding writers will love this talk! Over the last 25 years, Amy’s life purpose has been to educate people in yoga, psychology and wellness. She uses her professional skills to engage students’ body, breath and mind; teaching them how to create sustainable health and happiness. Amy earned a Ph.D. in Educational Psychology and her B.A.and M.A. in Health Promotion. 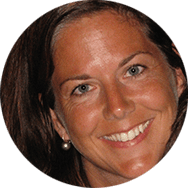 She began her body-mind teaching career as a Sport Psychology Consultant and Yoga Teacher to many elite-level athletes, including the Los Angeles Lakers, various Professional Athletic Teams and five U.S. Olympic/National Teams. Amy’s Interview dives deep into the world of online privates. She explains why these can be such an effective way to work with clients, and what type of clientele is best suited to this type of remote work. 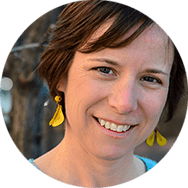 Amy’s joyful enthusiasm for sharing her work and growing her business is contagious, and you will walk away from this talk with a big dose of encouragement and specific action steps. Taylor is a full time psychotherapist as well as a yoga and meditation teacher in Boulder, Colorado. Taylor shares her passion for connection, truth telling and community in all of her work. Taylor’s Interview is aimed at everyone who has two modalities they work with: yoga therapist, massage therapist, psychotherapist, etc. Learn how Taylor runs her yoga / psychotherapy practice in a way that is authentic, seamless, and extremely thoughtful. If you’ve been struggling with how to create a cohesive brand or integrate the multiple hats you wear, Taylor’s talk will help you own your work in a whole new way! Receive IMMEDIATE ACCESS TO ALL TRAINING MATERIALS when you register: videos, PDF, and workbook. You have permanent access to these materials and can view them at your convenience. Linda Sparrowe the depth of your knowledge is amazing. I am in awe. I love books, writing, and writers, and found it fascinating to hear all about the writing business and how that works so beautifully with yoga. I took more notes from this lecture than any other, as there were so many good tips, especially for a beginner wanna be writer such as I hope to be. Thank you so much for being so generous with your experience. Lisa Simone Richards – LOVED IT! Thanks so much Laura Kupperman for having this wonderful woman on the show – a lot of us needed someone like Lisa to come in and give us the insider tips and lay it down in such an effervescent and realistic way!! Almost everything she said was profoundly useful – I was nodding my head so hard I had to watch it twice to get down the key points! This was a lesson in itself on how to speak eloquently, and effectively to make everything relevant. Thanks again, Lisa, for your energy and expertise – really one of the highlights of this week!! Amy Wheeler, you have no idea how refreshing your interview was for me! This past year I ran around like crazy, completely vata imbalanced, driving hours to meet with people to make very little money. I finally stopped doing that but have struggled to figure out how to get clients because I live in a rural community. Now I’m so excited about the possibility of online sessions! Theresa Conroy, I LOVED your interview and got so much out of it!! I need to listen again and take notes! You were so gracious to share so many nuggets of wisdom! I absolutely loved the connecting with more health professionals. The script idea was game changing! Love it all! I love the first interview with Lindsay Marino. Great starting point. So many wonderful “aha” moments and already adding to my list of ideas. Thanks for your amazing insight, confirmations and suggestions. Many Blessings. Plus, you’ll also get access to the downloadable Impact, Income, and Growth Workbook! This workbook is designed to help you get the most out of each and every video training, as well as identify the specific actionable steps you will take next. It’s not enough to just watch the trainings. You’ll be asked to reflect on what you learned, how it can apply to you and your business, and how you’ll begin integrating the lessons into your own action plan for growth. Are you ready to identify the strategic business model that’s right for you so that you can make a bigger impact? Does your current strategy need fresh inspiration and new ideas? The difference is that I’m not giving you empty blueprints and generic tactics. I’m taking you behind the scenes of REAL businesses with REAL yoga professionals (just like you!) who’ve created unique business models that are an ideal fit for them… and who have become successful because of their clarity and intention. You’ll also learn how to use your intuition to grow your business and how to get (mostly FREE!) PR to reach more people. We’ll be looking at a wide variety of potential revenue streams and offerings to inspire YOUR unique vision, as well as giving you the tools and resources to craft your own actionable plan for moving forward. Click here to read more frequently asked questions. Hello Yogis, I’m Laura Kupperman, C-IAYT! If we’ve never met before, you might be wondering who I am and why you’d want to take this training with me. 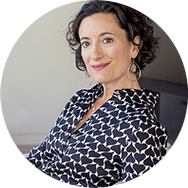 The short version is that I’ve been a Career and Business Coach since 1999, helping yogis and other wellness professionals launch or grow their business. I’m also a successful Certified Yoga Therapist myself, specializing in yoga for cancer survivors and yoga for fertility enhancement. I’m on the faculty of Inner Peace Yoga Therapy. Who is this training for? The training is designed with the yoga professional in mind. However we have had other types of movement and fitness professionals participate because the teachings are equally applicable to their fields. I recommend reviewing the list of guest speakers and topics, and if you can imagine the topic being relevant to your profession then it’s highly likely you would benefit from this training. Where does the training take place? The entire training is virtual so you can participate from wherever you are. How long are the training videos? Each interview lasts roughly 45-60 minutes (some are as short as 30 minutes, some as long as 75 minutes). Can I watch the videos in any order? Yes. As soon as you register you receive IMMEDIATE ACCESS TO ALL TRAINING MATERIALS. Our recommendation is to allocate a week where you have more free time to this training, so you can fully immerse yourself in all the exciting learnings and new ideas. We suggest watching two videos per day and have a recommended order for viewing them. That being said, you can watch the training videos in any order you’d like, and whenever you’d like! Do the videos expire? Is there a deadline to watch them? The videos, PDFs, and workbook are all downloadable, so you can have permanent access to them on your own device. What’s your refund policy? No refunds are available for this training. Have a question that wasn’t answered here? Email us at help@laurakupperman.com and we will be happy to answer your questions.